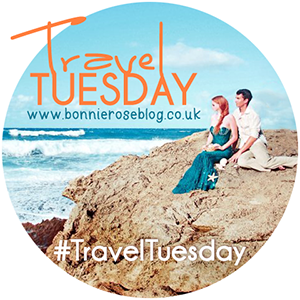 Back to the subject of today –> last week we gave you the themed prompt for the Travel Tuesday posts of this week: to share our layover stories with each other. As travellers, we’ve probably lived through our fare share of layovers – short and long, nice and stressful – so we’re bound to have some good stories to tell! I thought long and hard about what story to tell today – I could tell you about the layover in Dallas in which I was very ill as a child. I could tell you about my layover in Amsterdam on my way to Berlin for my exchange, where we spent wonderful hours roaming this city, so tired we were like zombies. I could also tell you about my very weird layover in Reykjavik airport. But today I thought I’d tell you about my layover in Dubai, UAE. The story is simple – it starts with my trip to South Africa. The cheapest flight was with Emirates and so, through Dubai. It was cool because I heard they were a great airline. My first flight – London to Dubai – was not disappointing because we flew in the coolest and most luxurious airbus ever! Then Dubai happened – I had 8 long hours to spend in the airport! I wish it was a day layover because I could have gone out to explore – but no we arrived into the airport at about 7pm and it was already dark outside. I started by walking around looking at the airport – so many things to see and explore! I caught some dinner –thankfully GBP were accepted and it was kind of cool to receive dirham (UAE currency) in return. My mom collects coins so I brought them to her! After that I Skyped my parents a little – it was fun to Skype them on my way to Africa! That is about when things got from weird to weirder! I’m pretty sure I started losing my mind. I was afraid to drink the water, the toilets had this weird warm wind and I was growing tired by the minute! Finally, at about 2-3AM we finally boarded the plane and I passed out straight until my arrival above South Africa. I do love me a long flight for that! Every week, each of us will be choosing our favourite post from the previous week, so make sure to check out those highlighted posts! For last week, I wanted to highlight Danielle’s post about the Kaisergruft on her blog The Unfinnished Blog! I have a thing for visiting cemeteries and tombs and this was such a cool visit full of interesting details!